The researchers created a massive evolutionary tree — a “megaphylogeny” — with more than 5,000 species of mushroom-forming fungi from all over the world. The research involved more than 40 researchers from a dozen countries across the globe; Hibbett’s former postdoctoral fellow László Nagy was the senior author of the article. Nagy is the principal investigator in the Synthetic and Systems Biology Unit at the Biological Research Centre of the Hungarian Academy of Sciences. 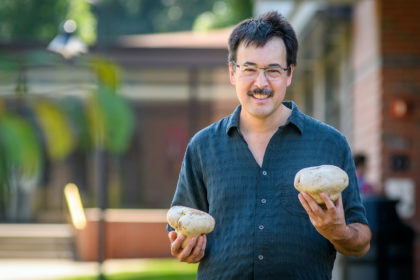 Professor Hibbett said scholars can use the megaphylogeny to understand why some forms of mushrooms have become more abundant than others. This graphic, from the Nature Ecology and Evolution article, shows phylogenetic relationships and diversification across 5,284 mushroom-forming fungi. 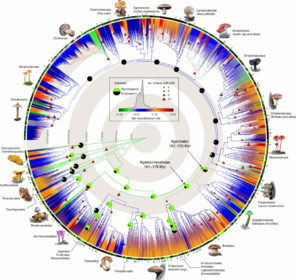 The authors report the increase in mushroom diversification started roughly 170 to 200 million years ago during the Jurassic Period, when the climate was humid and the terrain was dominated by gymnosperms and reptiles, including dinosaurs. First author Torda Varga, a doctoral student in Nagy’s lab, was only half-joking when he blogged about how dinosaur movies should start featuring more mushrooms. Hibbett agrees. 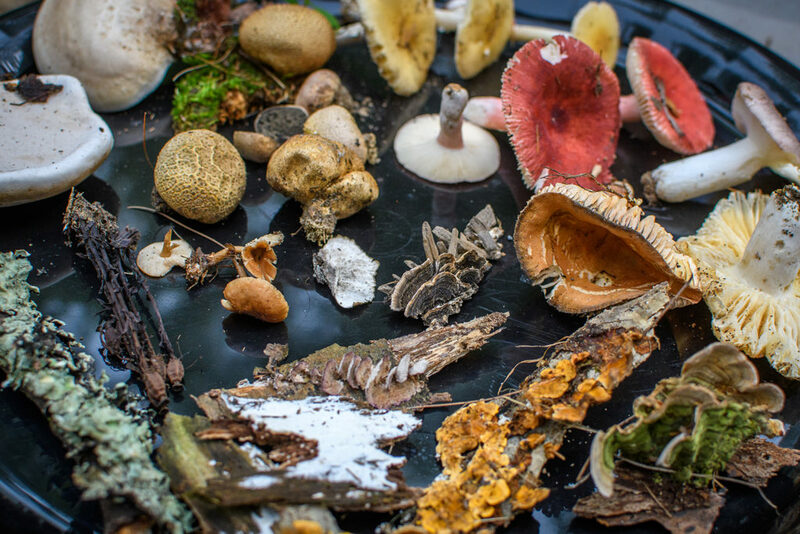 “The absence of fungi from popular depictions of ancient environments is a real shame, and it’s misleading,” he says. This research was funded by the Momentum Program of the Hungarian Academy of Sciences and from the European Research Council (ERC) under the European Union’s Horizon 2020 research and innovation program. The work by the U.S. Department of Energy Joint Genome Institute (a DOE Office of Science user facility) has been supported by the DOE Office of Science. From 2012 to 2014 Nagy worked in the Hibbett Lab with funding from the Rosztoczy Foundation of Hungary and the National Science Foundation. He received his doctorate from the University of Szeged in Hungary in 2011. Other authors on the paper with Clark connections include Marisol Sánchez-García and Otto Miettinen, who also conducted postdoctoral research in the Hibbett Lab.